"You could see the joy in his face when they were reunited. Love is love, no matter who it’s coming from." 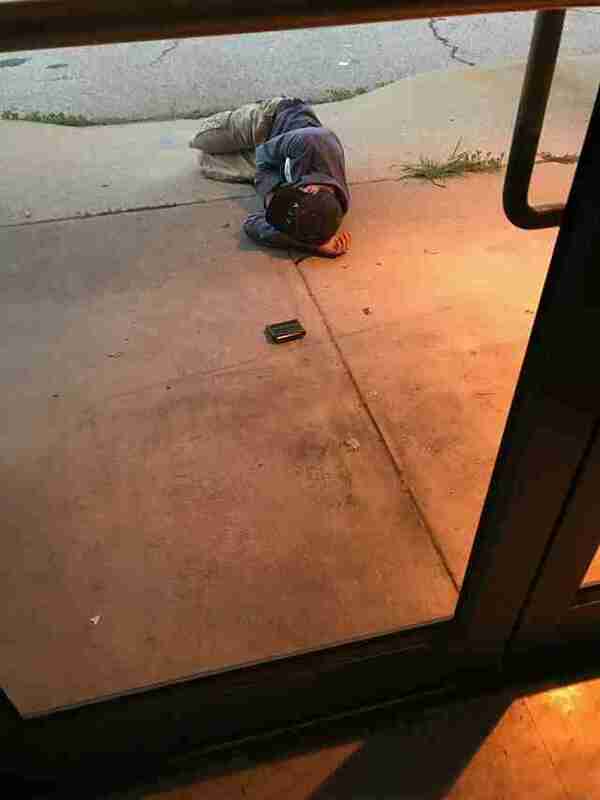 Upon arriving to work early last Friday morning, a staff member at DeKalb County Animal Services, in Georgia, found a young homeless man curled up asleep outside the front door. But, as was soon discovered, the mysterious man hadn't chosen the spot merely as a safe refuge during the night. Turns out, the man had lost his best friend in the world — and he was desperate to get her back. "Our kennel tech woke him up, and the man said his dog had gone missing," Karen Hirsch, spokesperson for the shelter, told The Dodo. The man had spent all the money he had collected in order to pay for the bus ride to the facility in hopes that she had been found. Fortunately, his lost dog had indeed been picked up as a stray about two weeks earlier — but she was being held at the animal service's new facility across town. Realizing that the man had no other way of getting there other than walking, the kennel tech decided to cover the cost of the train ride over. By then, rescuers at the new facility had become acquainted with his little dog, named Tata, whom Hirsch described as happy and healthy. When her owner arrived it became clear that, although he had little in terms of material possessions, he and his pet were rich with love. It was obvious from seeing them reunite. "You could see the joy in his face when they were reunited. It was wonderful. The joy for both of them was palpable. It lifted everyone’s spirit to see it. Love is love, no matter who it’s coming from," Hirsch said. "He probably puts the dog first in his life, because without her he doesn’t have anything." The shelter waived their normal fees for the man, and the pair were offered assistance should they need it in the future. Recently, DeKalb County Animal Services launched an outreach program to help homeless people in the region care for their companion animals. "Some people don’t understand giving a pet back to a homeless person, but some of those people take better care of their pets than some of us with homes," Hirsch said. "If you see a homeless person with a pet, and are hesitant to give them money, you can give them dog food, or even flea medicine. They also need bottles of water. Just basic supplies that humans and dogs can use. 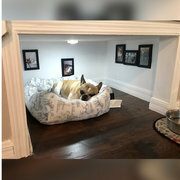 Their pet is sometimes the only thing they have in their lives."